Ankle sprains are a common soft tissue injury not limited to those of us with sporting prowess! Having sprained my ankle myself several years ago I know exactly how painful it can be. The term ‘sprained ankle’ refers to damage to the collagen fibres that form the ligament structures, on either side of the ankle. The most common injury is to the ‘lateral’ ligament (on the outside of the ankle) following an ‘inversion’ injury (the foot turns inwards). Ankle sprains are graded 1-3. Grade 1 – a mild injury with only a few collagen fibres are damaged. Grade 2 – moderate injury with more extensive collagen damage. In all three cases there will be a varying degree of swelling, pain, heat and redness/bruising as a normal part of the tissue healing process. The pain that is experienced is purely to prevent further ‘harm’ to the already damaged tissue, if you cannot weight-bear on the ankle and foot fully then you are far less likely to ‘re-injure’ it and cause more damage! Early stage management (for a Grade 1 or 2 injury) is to have ‘relative’ rest, so only weight-bear as much as pain allows, pain relief (as prescribed by the Dr) as a good nights sleep is essential for healing. Ice (as long as you have no loss of sensation over the skin area) and elevation of the foot/ankle when you are sat down. So how long does it take to get better? 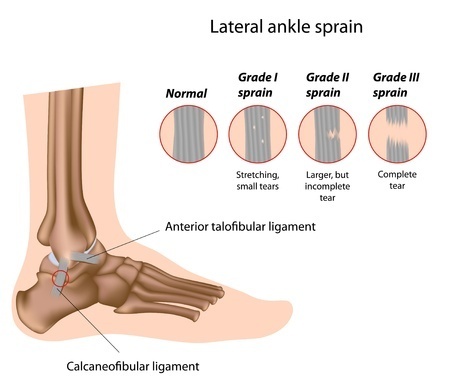 Generally speaking for a grade 1 and 2 ankle sprain – It is normal for the first 6 or 7 days to have constant pain, even when resting, the degree of pain will be relative to the grade of injury. Between 7 to 21 days pain may start to become more intermittent and you may find you can put more weight through the foot/ankle. Beyond 3 weeks pain will often subside at rest and be associated with being more active. Around six weeks the pain and swelling are usually significantly better and many of you will be able to begin resume your normal activities. So what happens if you are still struggling with pain and weight-bearing at 6 weeks post-injury? Firstly, this is NOT unusual! The peroneal nerve which lies over the lateral ankle supplying the skin sensation to the outside and front of the lower leg, ankle and top of the foot, can also be injured – usually from the sudden and unexpected ‘stretch’ as you went ‘over’ on your ankle. 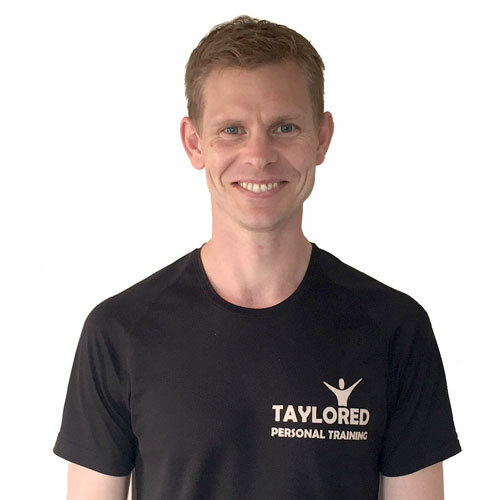 Nerves are pretty robust structures but if you do ‘over stretch’ them the pain can be quite significant and persist beyond the healing of the ankle ligament. Other nerve symptoms following an ankle sprain can include pins and needles or numbness over the outside and top of the foot. If you are experiencing these symptoms a qualified physiotherapist will be able to assess and treat you and this is usually the quickest route to recovery! They will also be able to rule out any other reasons for the persistent pain. I sprained my ankle badly years ago and now it is ‘weak’ – I just avoid things that cause me to ‘re-injure’ it – surely there is nothing I can do to strengthen it now as it has been years? When you damage the ligament the fibres heal and so the ligament is as strong as at was previously – yes it does heal but the collagen fibres are at their strongest if they line up uniformly. This doesn’t always happen by chance – specific weight-bearing exercises can gradually load the ankle ligament and encourage uniform alignment of the fibres. Your balance returns to being as good as it was pre-injury – yes it can, in fact it can be better! But with specific balance training. The ankle ligaments have very sensitive stretch receptors which detect any slight change in length of the ligament and the muscles respond instantly to ensure you stay upright! When you injure your ankle your stretch receptors are also commonly damaged and so your sense of where you are in space (joint positional sense or ‘proprioception’) is significantly reduced. 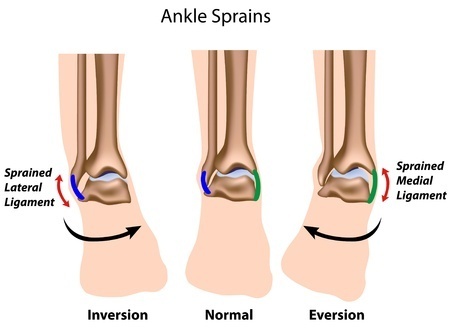 This is one of the most common reasons for ‘chronic’ ankle sprains, the stretch receptors only sense bigger changes in length so the muscles are slower to respond, before you know it you have sprained your ankle again! Is there anything I can do to improve my mobility & strength? Problem: Loss of weight-bearing ankle movement – pain or stiffness at the front of the ankle going down the stairs is a common problem. As it gets easier slide your toes slightly further away from the wall. A loss of ‘bounce’ – the ability to bounce up and down especially off the toes. This can be frustrating for those of us who enjoy activities that involve running and sprinting. Compensatory hip or knee pain when walking or running – either because of a stiff ankle or weaker calf muscles or because to avoid further injury some people change their walking pattern so their foot ‘collapses’ inwards. Once again these can be resolved with a good rehab programme – so don’t just ‘put up’ with pain or stiffness if you have sprained your ankle, come and see what we can do for you!